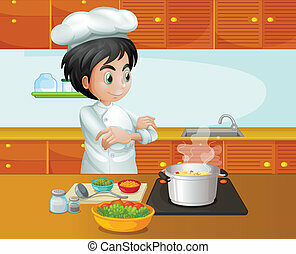 A kitchen chef. 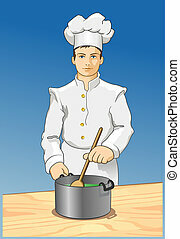 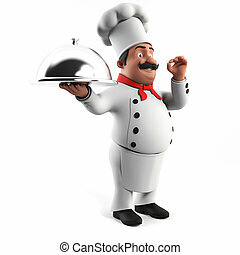 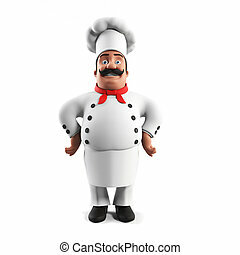 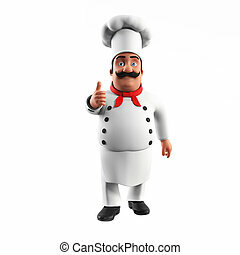 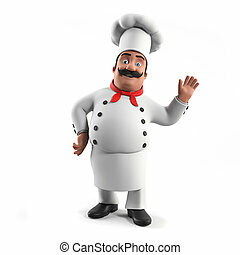 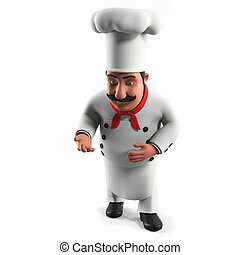 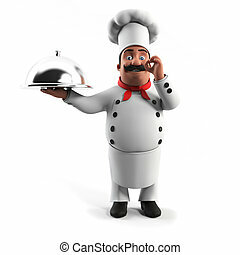 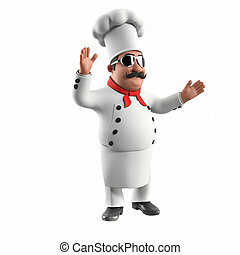 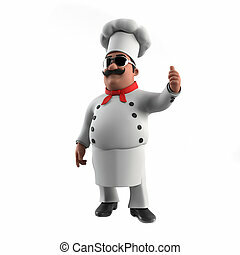 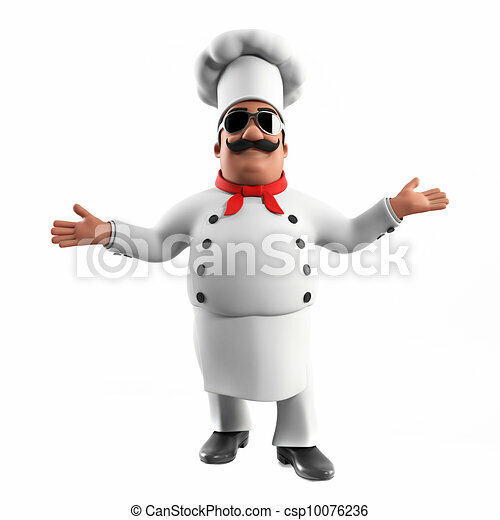 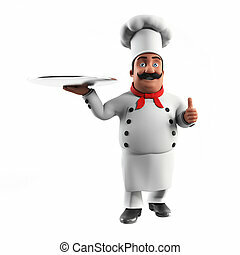 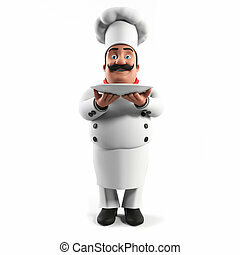 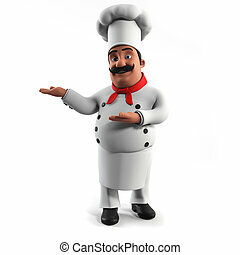 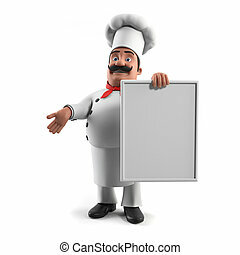 3d rendered illustration of a kitchen chef. 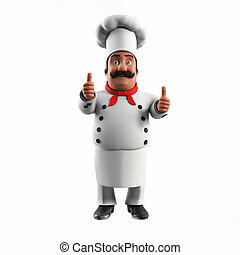 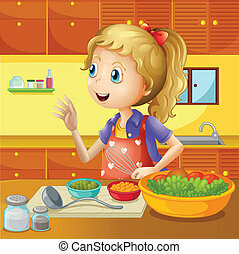 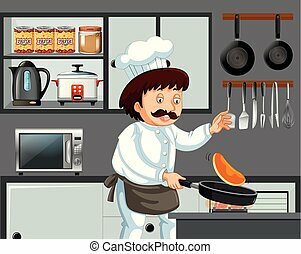 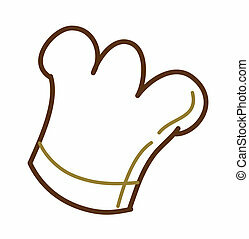 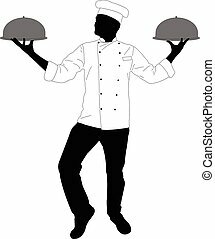 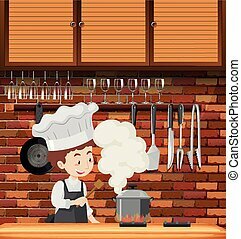 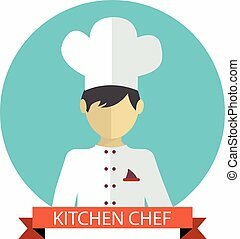 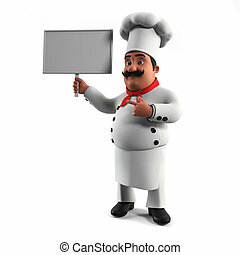 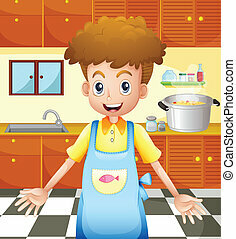 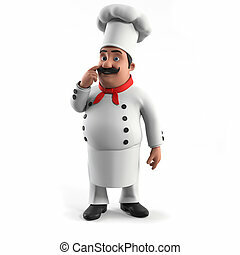 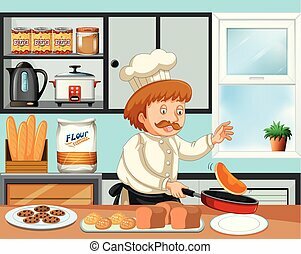 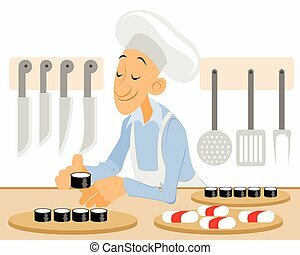 A vector illustration of kitchen chef . 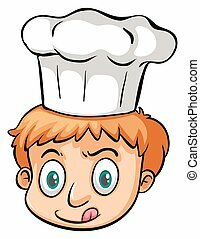 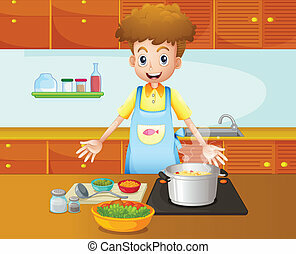 Young kitchen chef who prepares meals wearing bright apron and a hat.